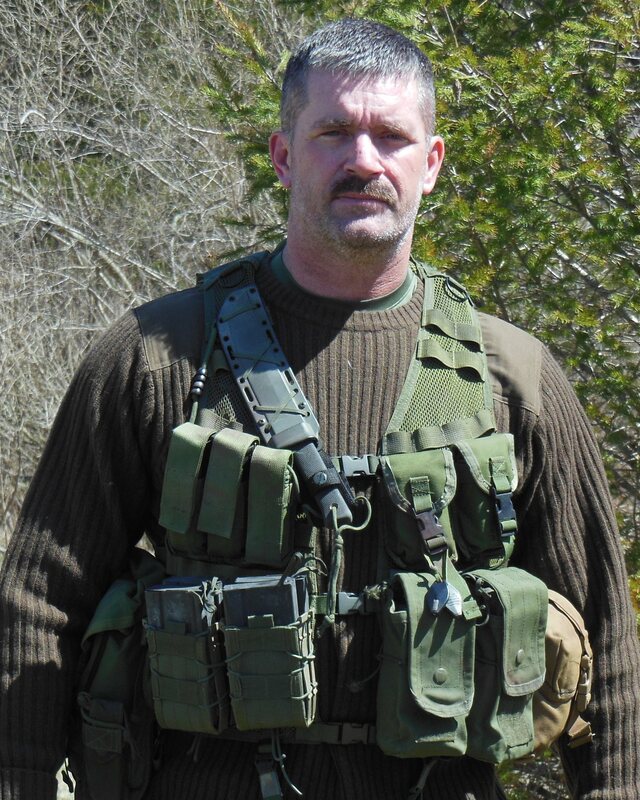 How many times do you talk to a buddy who is into Survivalism, or militia type activities, and he tells you he bought a new piece of gear, simply because “Fill In The Blank” (a tactical gear authority, don’t you know), said it was the shiznit of all shizum, when it comes to that type of accessory. When I hear this, I usually ask, “What was wrong with the setup you had?”, and I usually get a blank stare, indicating that it was an impulse buy, and not meant to fill a glaring gap in their gear setup. Most of us that have been into Survivalism for any length of time, have gone through a number of equipment variations, especially when it comes to tactical gear. Mine started out when I was 13 yrs old, with an old WWII issue equipment belt, an LC2 M16 mag pouch, canteen w/ cup and carrier and a “Kabar” style knife that was made by my Grandfather. Over the next couple years, I added to that setup, and ended up with a complete LC-2 rig, which was exactly like the one I had issued to me in the military a year later. 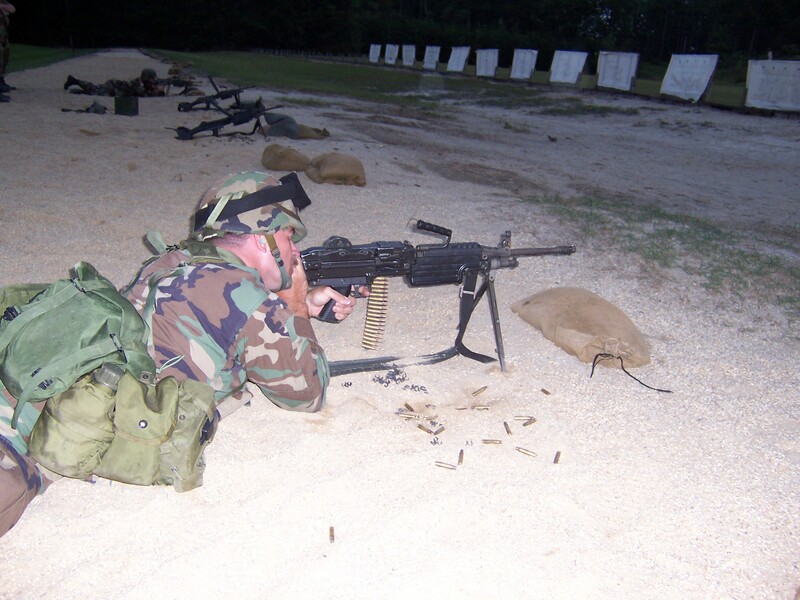 A SAW Gunner’s needs, concerning load bearing gear, are different than that of a Squad Rifleman. While in the military, I learned that the equipment you carry and use, has to be directly related to what your job (duty position) and/or task at hand is (the military spells this out for each unit). 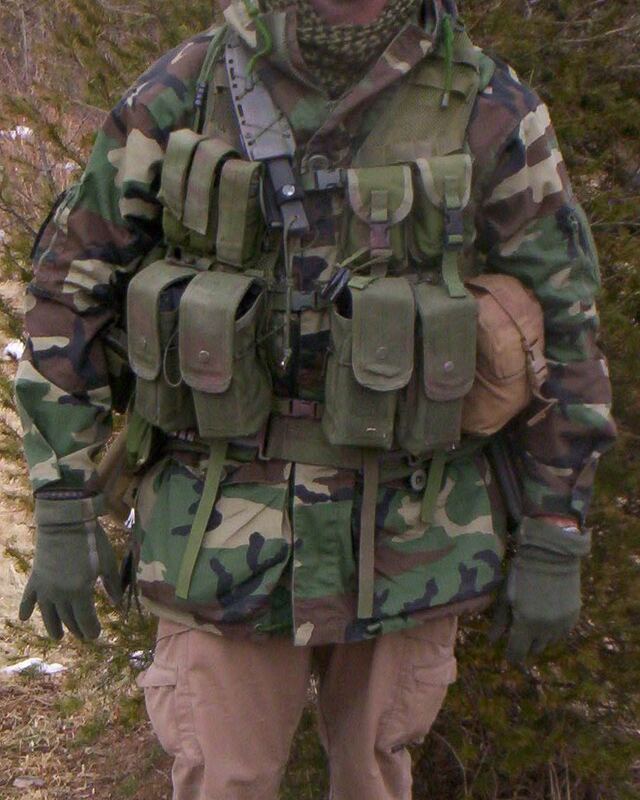 Sometimes, depending on your duty position you’ll be required to carry more, sometimes less, but there’s always a minimum load/gear requirement (unit SOP) to get the job done, and sometimes, we could buy our own gear, as long as it filled the stated requirements (and the Sergeant Major doesn’t see it). How you are organized (set up by others, or by yourself…you know…THE PLAN! ), and what you are organized for (you have documented your needed “What” and “Why”, right? ), whether as a Survivalist, part of the Neighborhood Protection Team, or in the military, is what drives the acquisition and eventual use of the equipment. We’ve all bought gear that appeared to be the answer to an apparent problem, only to be disappointed by poor quality, or just a complete lack of fulfilling the need (as you’ll see in this post). The purpose of this post is to review questions you might ask yourself before you acquire new gear, and hopefully, it might save you time and money in the long run. I will use a few gear changes I have gone through in last couple years as the example. Question #1. Do I have a need to enhance my gear, and for what reason? My Answer: Yes. While shooting a video a few years ago, I noticed my mag change time was slower than I liked. While studying the problem, I realized there was no way I could decrease my time, while still using the present flapped mag pouch I had. I thought my need was to find a mag pouch that was open topped, had good retention, but no retention strap (if available), and would accept mags for the weapons I regularly use (FAL/M1A, AR, AK). I have realized that initially, I did not ask the questions and address the overall concerns about the gear in enough detail, and I didn’t weigh the mag security/retention vs. speed issue. Overall, I was more concerned about versatility with different weapon systems. Question #2. What’s available, and what’s the manufacturers reputation? My answer at the time: The only one I’ve found is from High Speed Gear (Taco Pouch). I was fortunate that after doing the research, and talking to people that I found out used them (Friends and students), I couldn’t find anyone who had an issue with them. Looking back, when I made this first change, the initial response was aimed at speed. In reality I have determined that speed isn’t as important as retention in the Survivalist paradigm out in the boonies. However, speed is more of a necessity in urban and vehicle ops. I have since decided to go with “dedicated mag” type pouches (only fits one mag type) with a flap that has a durable and quiet (no velcro, snaps or fastex buckles for normal use) closure. I wrote a review of these pouches and they are made by my Friend John at UW Gear. These pouches are now what I use on my Tactical Tailor combat vest (I can easily switch from the 556AR to the 762FAL pouches due to the type of molle fastener strap he uses), but the Taco’s are staying on my plate carrier. Question #3. What’s the price and in stock availability? My Answer for my selections in 2015 and 2017: Moderate but acceptable price on the HDG Taco’s, and they were immediately shipped. I went through “Rifles Only”. Cost was $42 a piece, but it does everything (didn’t have to “make do”) I needed it to do from a speed standpoint, and is well made (no longer available from “Rifles Only”, but still available here). I bought two of the X2R double rifle carriers (for the assault vest), and two of the Double Decker single rifle. single pistol pouches (for the plate carrier). The UWG pouches I now use on my combat vest run around $25 and it will take some turn around to get them from John (he’s a one man operation). The quality and durability he builds into his gear is more than worth the wait time, and you are supporting an American small businessman. Question #4. What is the minimum I need to accomplish the desired task? 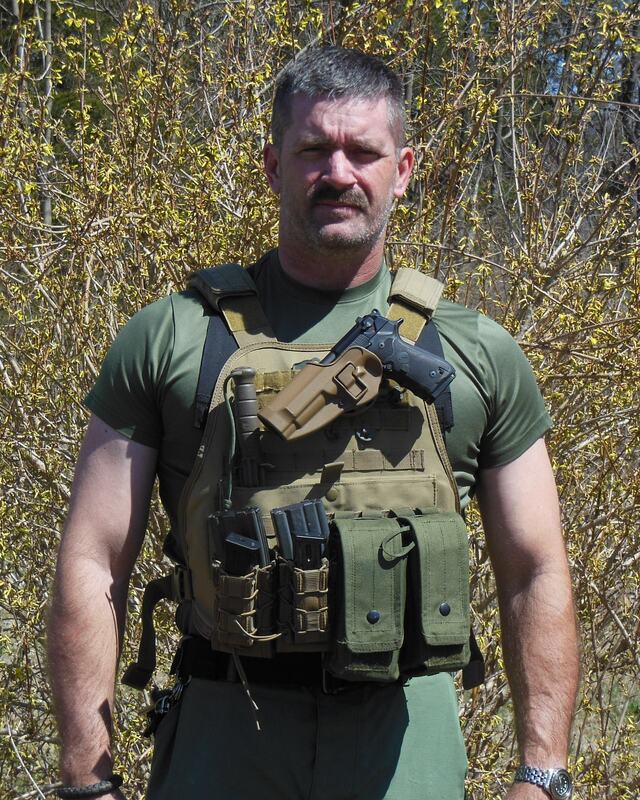 Answer at the time I originally wrote this in 2015: I carry 8 mags on my TT vest, and was keeping the two closed mag pouches on my strong side as they were. Two pouches per vest/PC. Although I could have gone hog wild and bought four Taco’s for my assault vest and plate carrier, I actually only needed two. I placed these on my weak/right side (first mags used). If I need more than 4 “Immediate” speed reloads on a patrol (with the assault vest), I’m in way over my head, and have probably made a huge error in judgment by hanging around, and I need to adjust my situational awareness. I should have time to adjust mags from the strongside flapped pouches during a brief respite in the chaos. 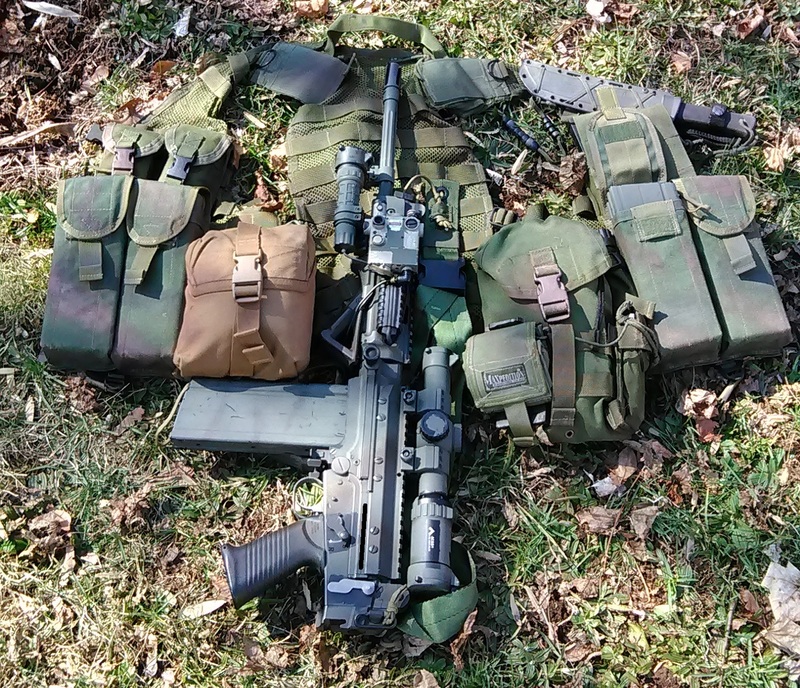 Now that I’ve switched over to UWG pouches on my combat vest in 2017, I use four across the front (similar to my original set up, but the pouches are better), whether it’s eight 30 rnd AR’s (around 8 lbs.) 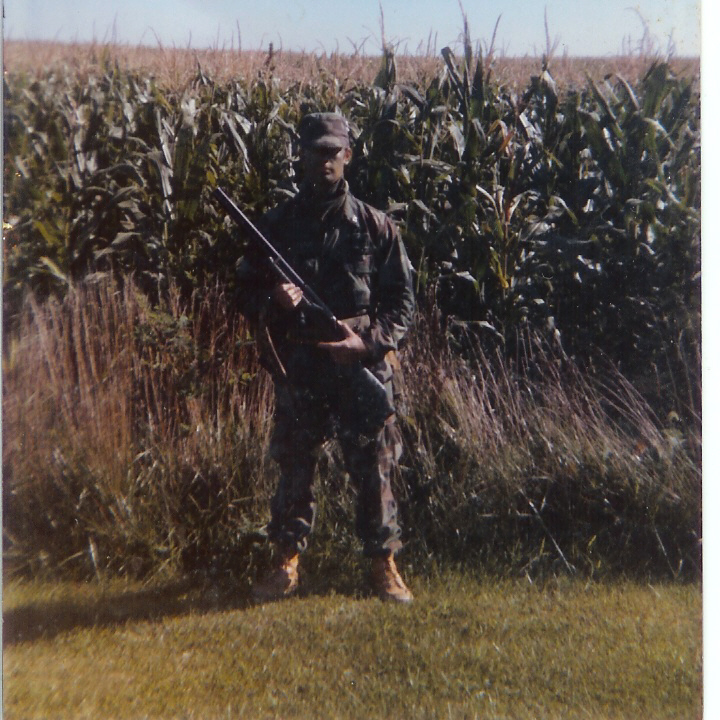 or 30 rnd FAL mags (around 19 lbs.). Plate carrier for home use. Everything a person needs for immediate dealings with bad guys, and all in one convenient “grab and go” piece of gear. Question #5. Does it meet the requirements, and is it worth the money? My Answer back in 2015: Yes. My rifle reload time was cut in half , and the Double Decker’s on my plate carrier helped fix a “real estate” issue I was having. The PC is my “grab in the middle of the night” gear, and there just isn’t enough room on it for pistol mag pouches (2 mags), rifle mag pouches (6 mags), knife, and a holster, without putting the sides on it, and they are noisy (velcro) and make it hard to get on quickly. My answer now is that I feel better about having more security for my mags in the field and will trade that for speed (UWG mag closures are still faster than the first ones I had). As a Survivalist, the need for a speed reload in a fight has to be tempered with an understanding of your lack of resupply. Yes, I know reloading quickly is important, unlike most who comment, I’ve been on the “Two way range”. I just think speed is not the only criteria to take into consideration when you are figuring what type of pouches you will use. In conclusion, there are always good reasons for updating and changing out your gear. The post I did in 2014 on my choice from 2007 for load bearing gear had not changed in eleven years, except for the Taco pouches. Some of the choices I made in 2015 were changed in 2017 because I saw a need for more retention, than speed, and I rectified it. If you’re using an old LC-2 rig, and it covers what you need it to, knock yourself out (still a big fan BTW). Newer isn’t always better. Ask yourself the questions in this post, and they will help you answer some of the more important factors when you are buying tactical gear.